Amongst all of the hype of Pokémon, I am grieved to have to deliver this somber piece of news. While we have all been affected by the Christchurch earthquake and Japanese disaster, this occurrence hits very close to home for us in the Zelda and Nintendo online community. 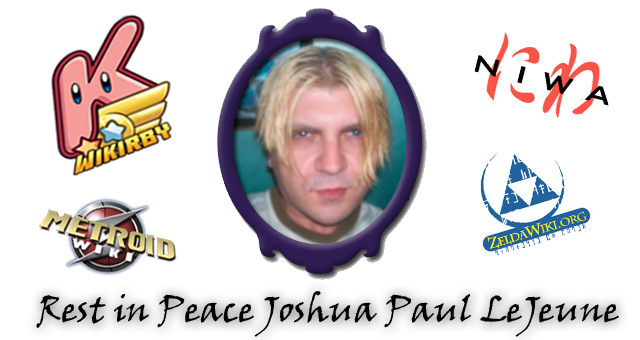 Respected Zelda theorist, Zelda Wiki admin, NIWA co-founder and Wikirby founder/owner Joshua Paul LeJeune (known as Axiomist) passed away on March 18 2011, at the young age of 30. Of course you have to be hesitant on the internet to the validity of such information; however, as we don’t take such pranks lightly, we have to say that this is no hoax. Although the details are not available to us, we have confirmation from the funeral home. Many of us around Zelda Informer and the Zelda community were quite close to Josh, so this is a very sad moment. The news has struck us out of the blue, and is quite devastating. Those who knew Joshua knew that he was a kindhearted and caring guy, and Josh, you will be missed. I first met Joshua back in early 2008 at Zelda Universe when we were both just newbies to the online Zelda community. Within the Theorizing section of ZU Axiomist greeted me with the compliment that he enjoyed my theories because they were not focused on the Zelda timeline and reminded him that theorizing was about so much more. From there we sparked a lasting online friendship that saw us across many websites in the Zelda and Nintendo online communities. Joshua and myself decided to join Zelda Wiki and contribute to the project that was co-run by numerous Zelda sites. Wikis are daunting at first, but Josh was there to help me, and he him. If there is one thing about Josh that will stay with me, it was his willingness to assist and help others. In 2009, almost a year after joining Zelda Wiki I was promoted to staff as an administrator. Soon after this I had the privilege myself to promote Josh to Zelda Wiki staff and welcome him to the team. During his time at Zelda Wiki Josh earned the respect of its members and drove the wiki forward to new levels. Many of you will be familiar with NIWA – The Nintendo Independent Wiki Alliance. The idea came from long conversations between Archaic, Bulbapedia’s owner, and myself – however, the project’s current success is due to the continued assistance of members from the individual wikis. Perhaps no-one helped in the establishment and founding of NIWA more than Josh. He was always there to give his opinion, to do the little things that other people didn’t, and to keep the whole project on track. NIWA’s current and future success can be attributed significantly to the input of Josh in its early days. 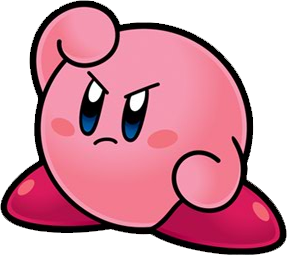 In the spirit of NIWA, Josh also founded and created the now-number-one source for Kirby information on the internet – WiKirby. The site is yet further evidence of Josh’s drive to provide quality – which he always did. As we here at Zelda Informer set up our own Metroid Wiki, Josh was always there offering support and assistance. He was a caring individual. If he saw something that wasn’t living up to its potential, or that something could be done better, he’d assist in making sure everyone and everything lived up to their absolute maximum potential. It was only a few weeks ago now that I last contacted Axiomist; and looking back, the minute details of Metroid Wiki that we were discussing seem so irrelevant. If we had known that this would be the last time how would it have been different? It’s cliché, I know, but death is a perplexing thing. It is an inevitability, but at the age of 30, no-one deserves it yet. Josh had much to live for, and much left to achieve. I know that he wouldn’t have wanted to go until he had done everything that he could to make the world a better place. The internet is a strange place. People come and go, friends come and go. Most people are just a username you briefly see. It’s rare that you come across a person that genuinely cares for others; who’s willing to listen and help. As I sit here today writing this, I know in my heart that if it wasn’t for Josh, I wouldn’t be here. Many of us wouldn’t be. If it wasn’t for Josh’s comments back at ZU in 2008, I never would have gotten into theorizing and writing. If it wasn’t for Josh I never would have become involved in Zelda Wiki, and been able to help establish NIWA, or take Metroid Wiki to where it has gotten to today. I owe you a lot Josh, but you never asked for anything in return. You were loved across all of the online communities that knew you, and you will be missed. Our hearts go out to Joshua’s family in this trying time. Know that our thoughts are with you. You will not be forgotten Josh. We will remember you for who you were: respected, kindhearted, caring, Axiomist. Rest in peace.